THRIVAL FESTIVAL feat. PORTUGAL. 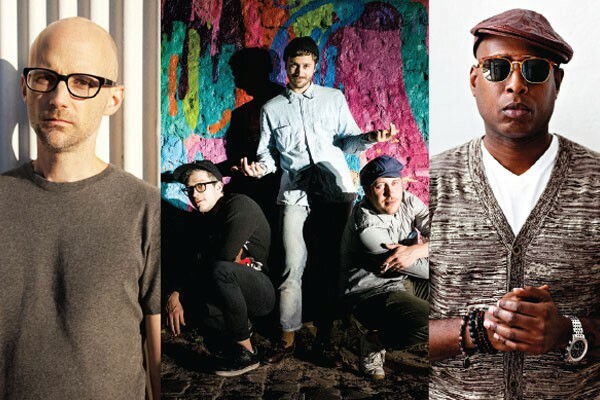 THE MAN, MOBY (DJ SET), TALIB KWELI, PHOSPHORESCENT, MORE. Noon, Sat., Sept. 13, through Sun., Sept. 14. Last year's inaugural Thrival Festival was a seat-of-your-pants affair for organizers: It was the first event of its kind put on by the folks from startup incubator Thrill Mill, and much of its funding came in late in the game, leaving organizers scrambling at the last minute to book and publicize. "It's a pretty steep learning curve," Thrill Mill founder Bobby Zappala says with a laugh. "That's a good, accurate way to put it ... and maybe even an understatement." The former practicing attorney found himself learning about talent contracts and other logistical work on top of the tricky practice of booking within the constraints of artists' touring agendas. This year, though the festival is back — with two days of music instead of one (and, as Zappala points out, nearly four times as many acts.) A DJ set by Moby and performances by Portugal. The Man and Talib Kweli are the top-billed events on the music side of the weekend-long festival, held Sat., Sept. 13, and Sun., Sept. 14. The concerts will bring the mass audience, but there's more to Thrival: A series of "PIT Talks" (modeled after the popular TED series) by successful entrepreneurs will take place, and hopeful startups will vie for investor money as part of the $25,000 "PNC Pitch," sponsored by the bank. Last year's music lineup was world-class, if limited: De La Soul, Frightened Rabbit, RJD2 and locals Formula 412. This year, it's an expanded lineup with a considerable local contingent as well: Five Pittsburgh-based acts will perform And Zappala would like to see even more local representation in the future. "This year, the biggest limitation was space," he explains. "In the future, I'd like to open up additional stages, so that we can have sets going on without having lag time in between for setup." "We've been very lucky to have the Walnut Capital team at Bakery Square allow us to use that space," Zappala says. "It's cool, it's rugged and kind of intimate. But it's going to be built out, and it'll be too small down the road. So this is the grand finale of the Bakery Square event, at least as pertains to the main-stage aspect of Thrival"
Saturday's lineup, in addition to Talib Kweli and locals 1,2,3, The Red Western and Tairey, includes indie rocker Phosphorescent, up-and-coming New York City band Misterwives and Atlanta songwriter Raury. Sunday's lineup is headed up by Moby and Portugal. The Man, and includes Chicago electronic legend Green Velvet, mashup DJ Z-Trip, soul singer Mayer Hawthorne and locally based notables Buku and Pittsburgh Track Authority, both of whom have garnered national attention in recent years.